ONEhalf20 Melt Pressure Gauge CTG6 is the ideal choice for extrusion processors requiring a simple, reliable and accurate maintenance free melt pressure measurement. 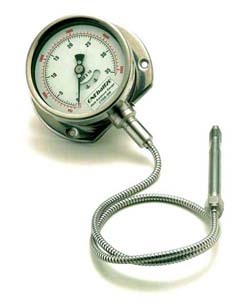 This rugged, totally self-contained Melt Pressure Gauge is available in either 0-5,000 psi or 0-10,000 psi ranges. This Melt Pressure Gauge allows the user to benefit from the improved efficiency and quality that goes along with melt pressure measurement at an affordable price. ONEhalf20 Melt Pressure Gauge CTG6 comes standard with a 6" rigid stem and 30" of flexible capillary, with a 1/2-20 UNF mounting thread. ONEhalf20 Extruder Rupture Disk assemblies are manufactured from 304 SS and incorporate either an Inconel or Stainless Steel Disk which minimize the affects of varying processing temperatures. The RD Series of Extruder Rupture Disks from ONEhalf20 are offered in a wide variety of lengths and configurations. Standard stock assemblies are available in burst pressures ranging from 1,500 up to 15,000 psi, and lengths from 1.82” up to 12”. 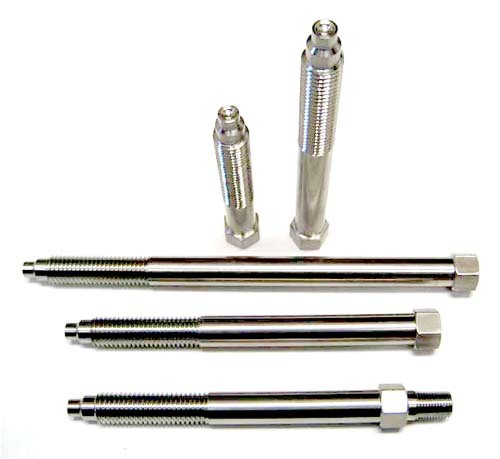 Several different mounting threads are offered on the ONEhalf20 RD Series Extruder Rupture Disks that are commonly found on plastics extrusion machinery. The CT6S Melt Pressure Transducer is ideal for general purpose melt pressure applications. The unit features the industry standard 3.33 mV/Volt output and offers pin-to-pin compatibility with all competitors models utilizing the Bendix style 6 pin bayonet connector. The CT6S Melt Pressure Transducer comes standard with a 6" rigid stem, 18" of flexible capillary, and a 1/2-20 UNF thread for mounting in standard transducer mounting holes.